What are the current DAN guidelines on scuba diving and free diving on the same day? 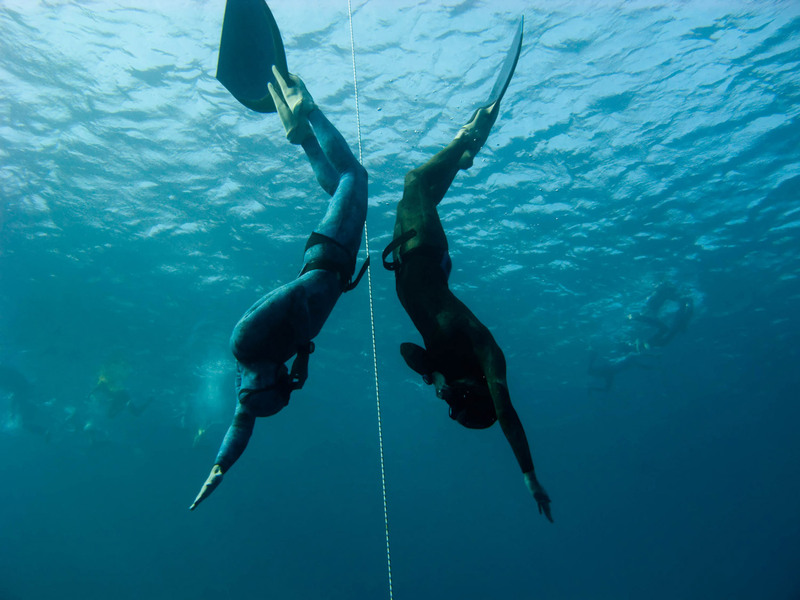 The answer varies depending on the intensity of the exercise when freediving, and the depth you reach. If you freedive without straining yourself and at shallow depths, you can scuba dive afterwards without much worry. Obviously, the more breath-hold dives you do, the more difficult it could become to keep equalizing over and over. On the other hand, if you go deep and strain yourself a lot, you will need longer surface intervals before you can scuba dive. If you freedive to a depth of only 12 to 15 meters and for a limited number of times (two-three), all you need to wait before scuba diving is 30 to 60 minutes. For deeper, more strenuous free dives - a common practice in spearfishing - the surface interval needs to be much longer, even if there’s not enough data available at present to allow for definite suggestions. If instead you choose to freedive after scuba diving, it is another story. You need to be aware that you already have gas bubbles in your system from scuba diving, therefore even if you freedive at shallow depths, there are risks. 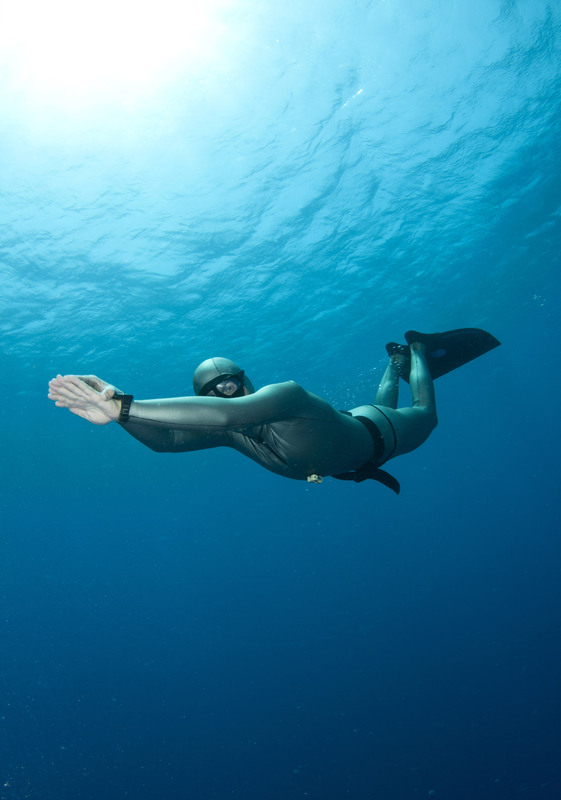 The most obvious one is that freediving involves physical exercise, and straining after scuba diving may increase the amount of bubbles circulating in your body. Another maybe less evident risk is that, during freediving, the circulating venous gas bubbles that are already in your body from having scuba dived get compressed and shrink because of the pressure of the water, thus they could pass through the lung filter much faster than normal and reach the arterial circulation. Needless to say, it’s never a good idea to carry a high bubble load in the body, so it would appear more prudent not to scuba dive and freedive on the same day if the dives undertaken are long, deep, and strenuous, thus creating significant bubble formation in the body. Each person and each case is different, but it is always better to be more cautious than less. 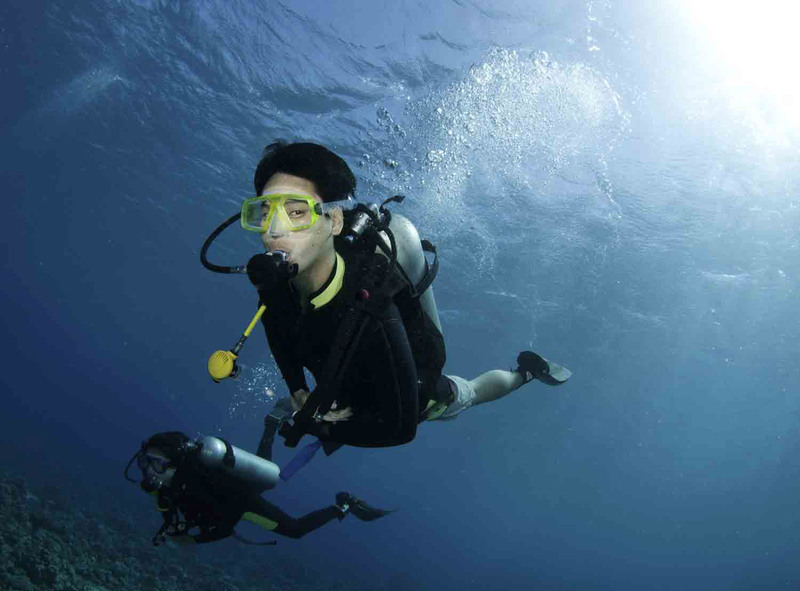 To summarise, if you freedive deeper than 15 meters and do strenuous physical activity, such as spearfishing, it would be better to scuba dive and free dive on separate days. Even long surface intervals between the two activities, if involving long, deep, and strenuous dives, do not eliminate the risk of overloading the body with bubbles. As aware divers, it is simply wiser to avoid this risk.